Communities divided. Generations shattered. Nations split apart. Can a world fractured by war ever make peace with itself? 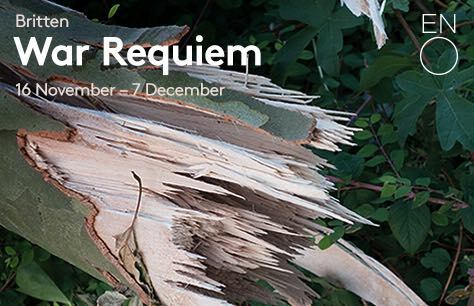 War Requiem is performed by the combined forces of an 80-strong chorus, a children’s choir of 40 from Finchley Children’s Music Group, the full ENO Orchestra, a chamber orchestra, and three soloists.